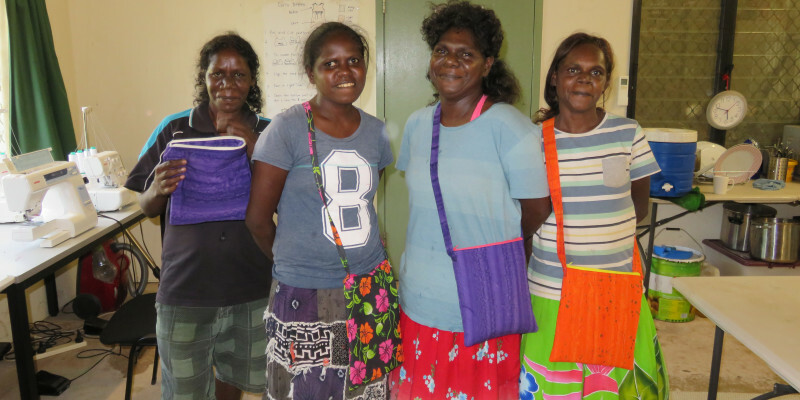 Gunbalanya, also known as Oenpelli, is a large remote town situated about 60km north east of Jabiru, across the East Alligator River in Arnhem Land. 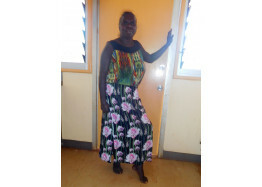 Gunbalanya has a population of around 1,200 and the main language spoken is Kunwinjku. 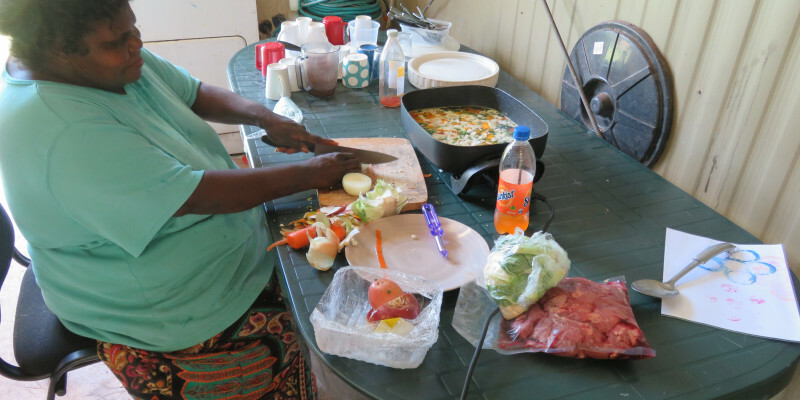 Gunbalanya was first settled by pioneer Paddy Cahill, who established a farm in the early 1900s. A mission was later established in the 1920s. The main road link out of Gunbalanya to the Arnhem Highway is often closed during the wet season, when the East Alligator River becomes impassable. The town is, however, serviced by a tarmac airstrip. 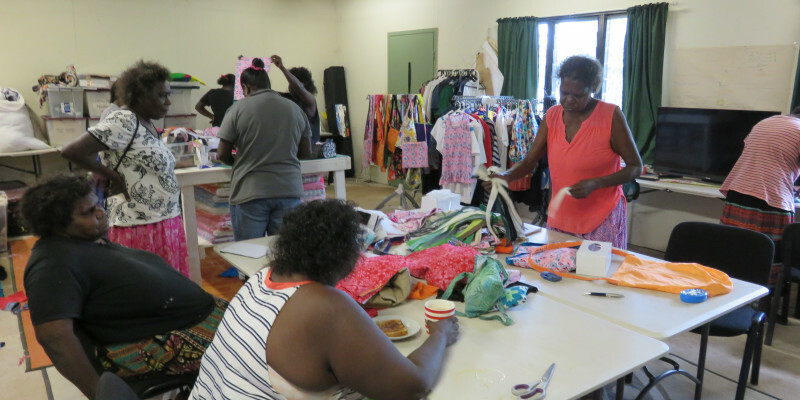 West Arnhem Regional Council provides a range of core local services in Gunbalanya, including sport, recreation and youth programs, employment programs, community safety, and community services. The town also has an arts centre, supermarket, service station and licensed community sports club. 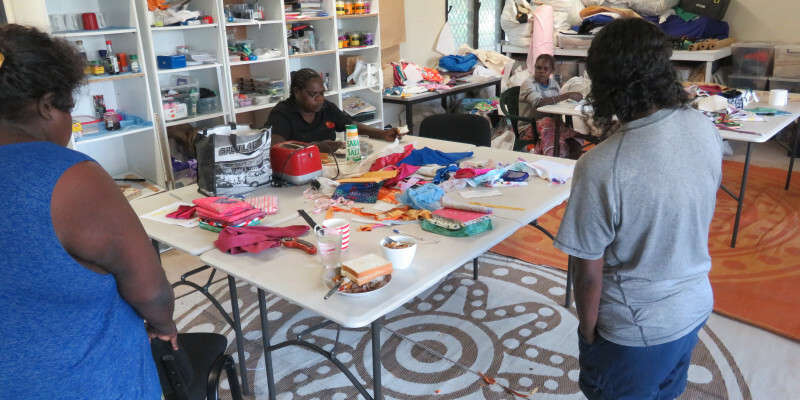 West Arnhem College provides schooling from preschool to Year 12. Gunbalanya There are 4 products. Zip up pouch style bag ideal for Make-up. 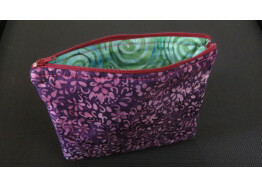 Lined cotton bag with zip.Approximately 18cm wide by 15cm deep. This bag is made from cotton fabric, lined with a zip front & small pocket at the back. Size: Approx 18cm wide x 25cm deep. 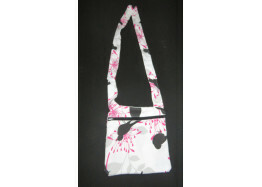 * Fabric designs vary for all bags. If you have a preference on colour, please let us know. 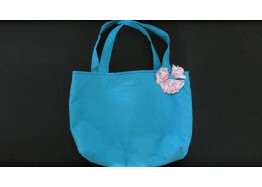 Bag made from 100% cotton, fully lined & washable.Has 2 internal pockets on one side & a flower broach pined to the outside. Approx size: 40 cm wide x 20 cm deep. 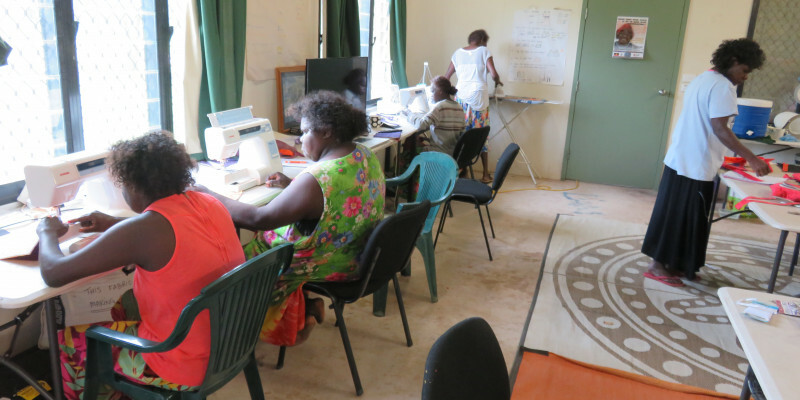 DREAMTIME SOLUTIONS Australia” is all about making a difference…..